I've recorded today's route, but I got separated around Shepshed on the way back, so this isn't the way everyone else went. Thanks to Pete for a very good run today in glorious weather. Meet the Poachers for brekky run,Byards leap cafe. Meet Noel Clays (Ikea roundabout A610) 10.00am. 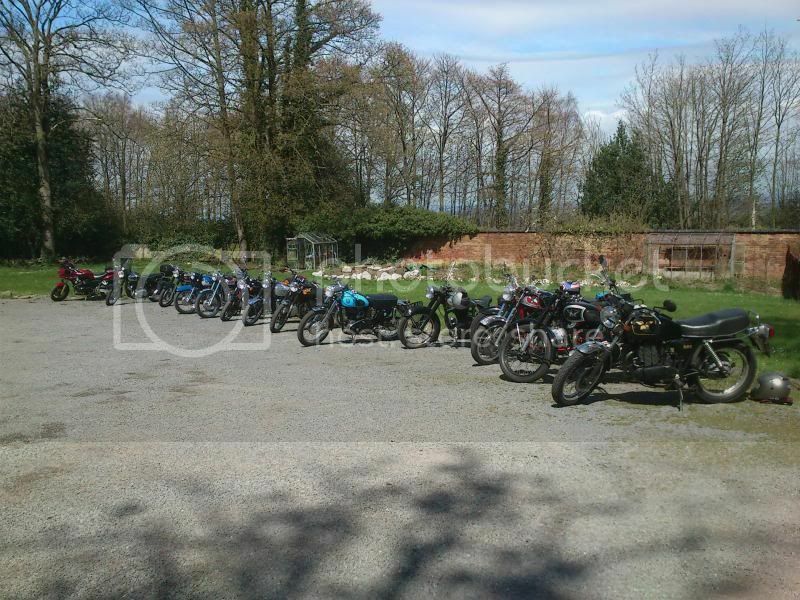 Here's a snap of all the bikes from today, though mine's hiding. An excellent turnout, especially considering the forecast, which was wrong.